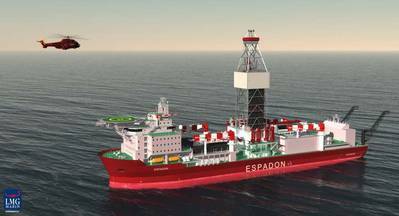 Rolls-Royce won an order worth more than £100 million to supply integrated power and propulsion systems for seven offshore drilling vessels in Brazil. The ships will be built at the Atlântico Sul shipyard for Brazilian oil company Petrobras. Rolls-Royce will equip each of the seven vessels, which will satisfy local content requirements, with six large thrusters and six Bergen diesel generator sets. Together, the systems will be used to propel the vessels to and from drill sites and to accurately maintain their positioning during drilling operations. Petrobras’ new drill ships will primarily support extraction from wells along the pre-salt layer, located 2,000-3,000 metres below the surface of the Atlantic Ocean, offshore Brazil.